Teens account for 50 percent of all pedestrian deaths among kids ages 19 and under. And injuries among older teens are on the rise – an increase of 25 percent over the previous five years. Distraction is a likely reason. Help stop these tragedies from happening. Get the facts and spread the word. Join Safe Kids and FedEx and take action today. It only takes a few seconds while typing on your cell phone to become distracted. 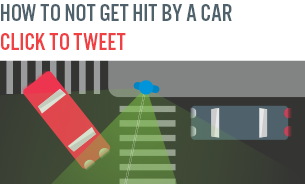 That's why it's so important to put your devices down when crossing the street. Yet one in five high school students crosses the street while distracted – most while texting or wearing headphones. Spread the word about the dangers of distraction and make your voice heard. 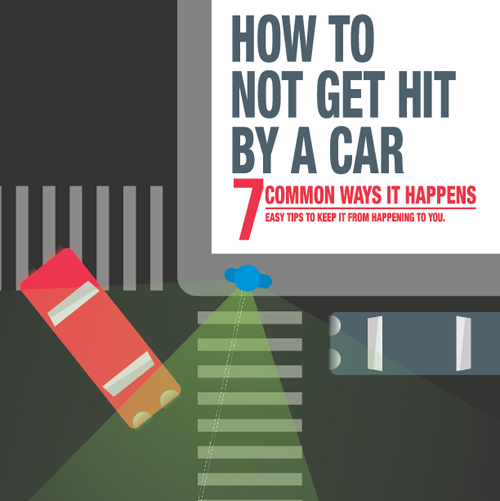 This interactive infographic highlights seven ways children are getting hit, paired with seven tips to prevent them from happening. You can share this infographic on Twitter by simply clicking on the image below. Help raise awareness about the dangers of distracted walking by participating in the Moment of Silence Campaign. Our goal: to get parents and teens to put their devices down when crossing the street and take a pledge to make it happen. Will you help? Here's how to get started. On Halloween morning in 2012, 15-year-old Christina Morris-Ward was killed while crossing the street just two blocks from her high school. Christina was wearing headphones and looking down at her phone when an oncoming car hit her in the middle of an intersection. Read more. Here's our full toolkit to help you speak out about distracted walking. For more info contact Julie Kenneally.